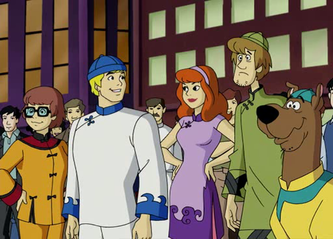 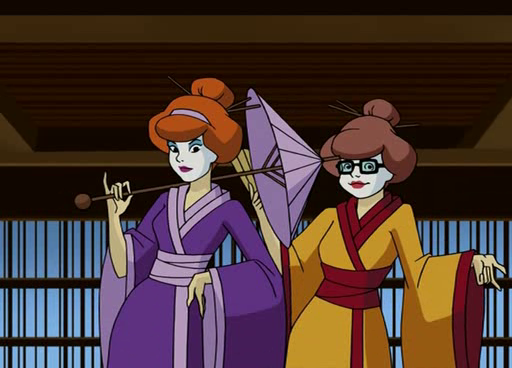 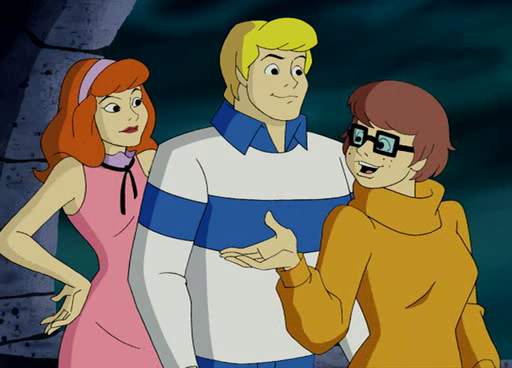 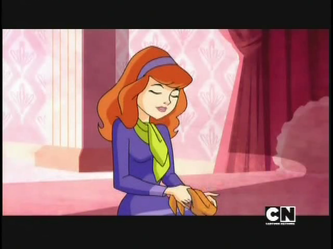 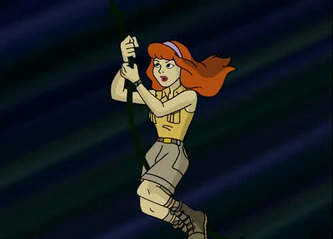 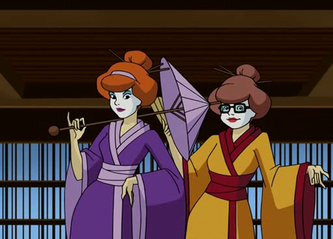 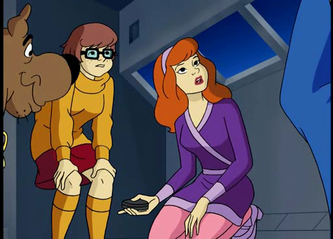 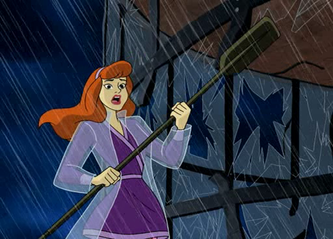 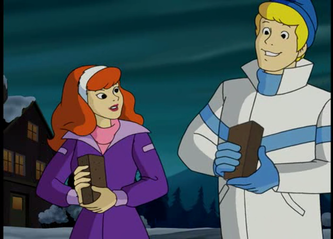 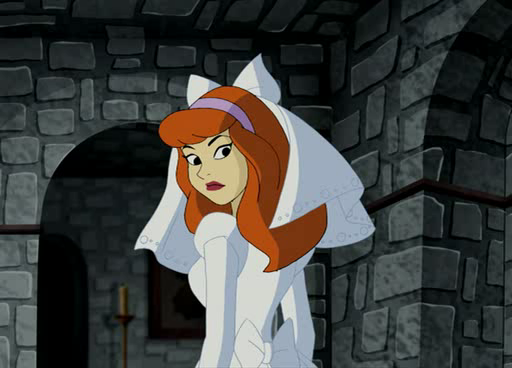 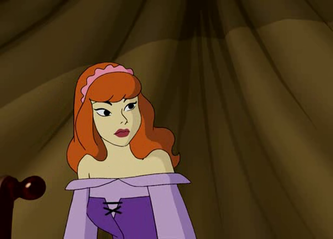 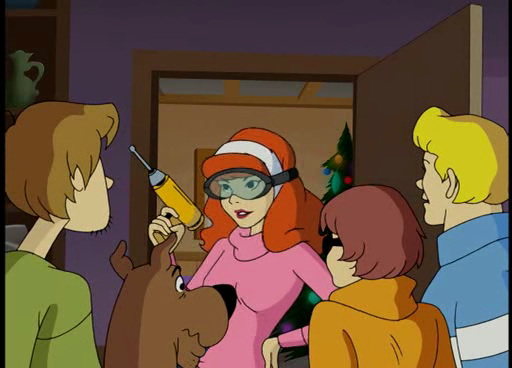 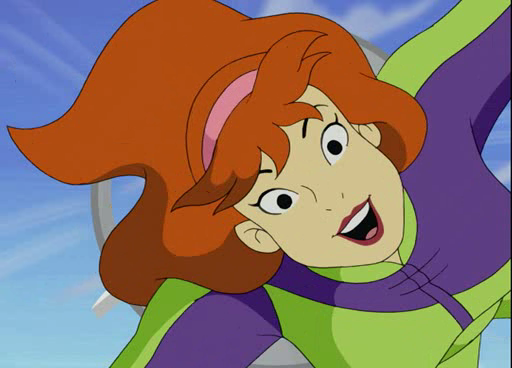 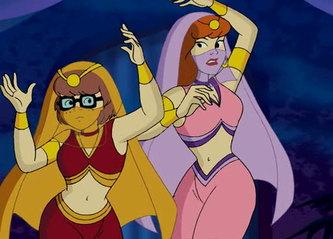 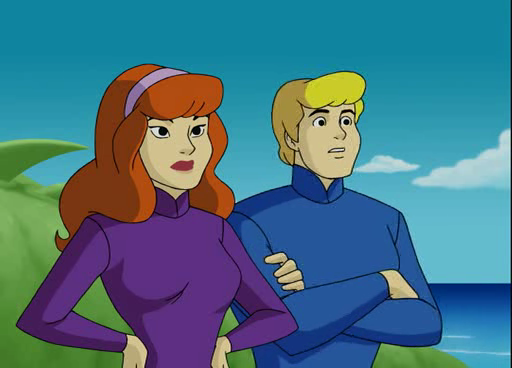 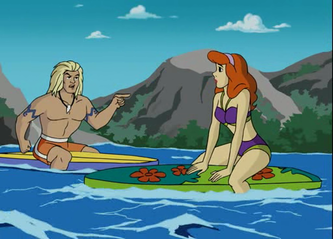 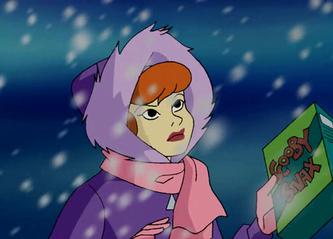 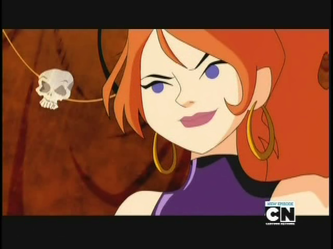 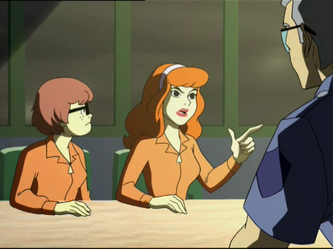 Daphne is the girl that will always spot what kind of shoes are you wearing and if your scarf is too "last season". 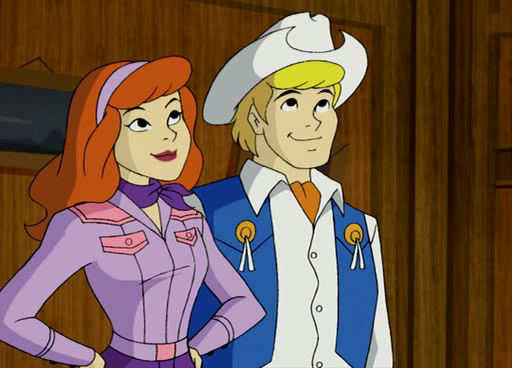 Daphne is the "normal" girl of the gang, she's crazy for fashion and for Freddie. She always use her make-up instruments to save the gang from some big trouble, and from time to time, on accident she opens and finds hidden doors or passages! 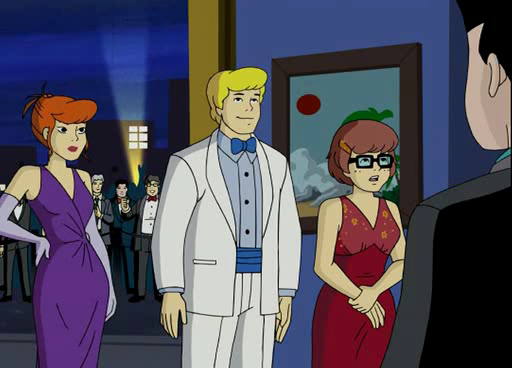 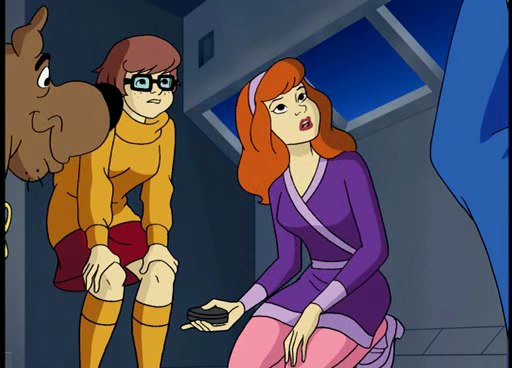 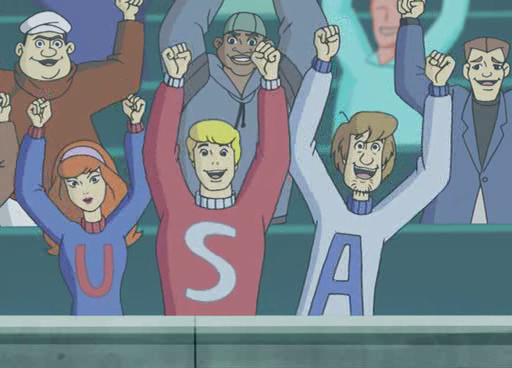 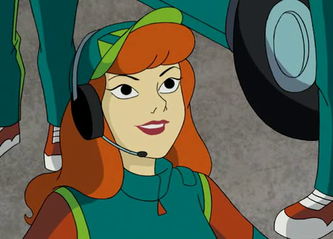 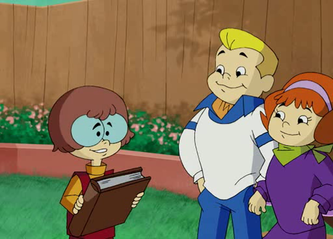 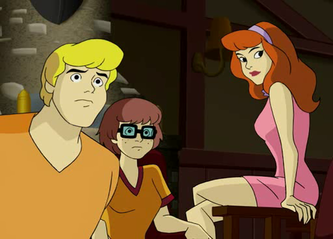 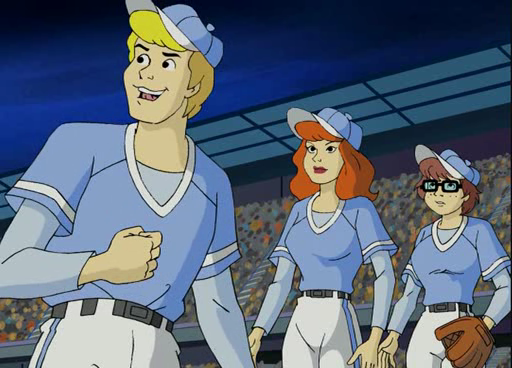 Her parents are really rich, they are the ones that payed for the Mystery Machine as they have ancestors in Loch Ness with the Blake Castle there! 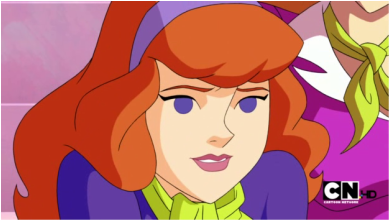 Her favorite color is purple and she's wearing this one purple costume a lot, even she hates wearing the some outfit everyday!